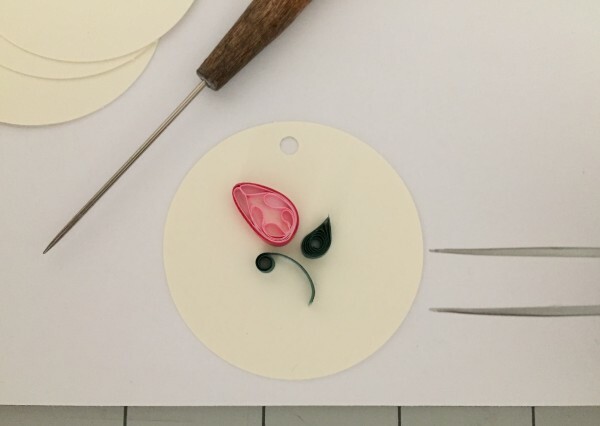 Traditional quilling techniques are very often used to create intricate scenes of flowers and plants. 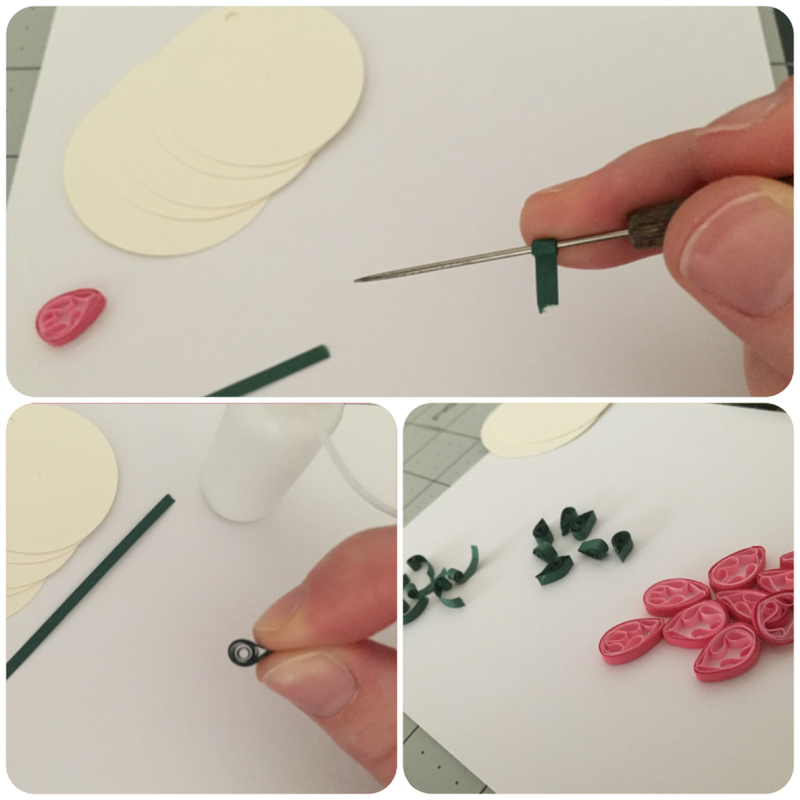 Since I am a self-taught quiller and I tend to work in a more modern style (and sometimes I just make up the approach as I go), but as I grow and expand my shop, I’ve really begun to appreciate the beauty of classic quilling. 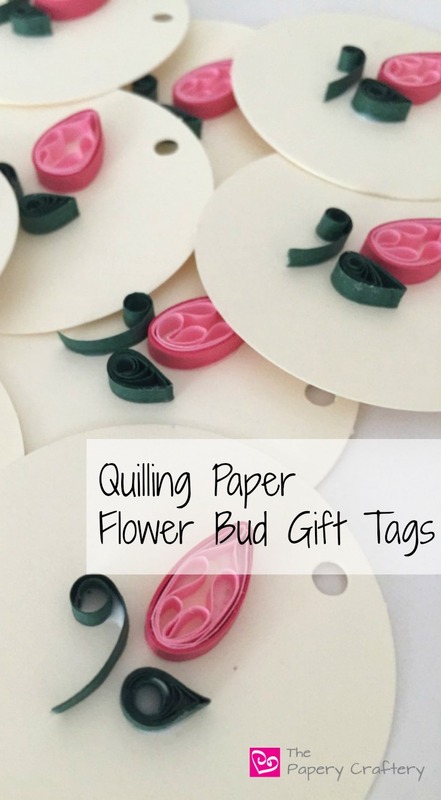 Here’s some insight into how I create my new flower bud gift tags. 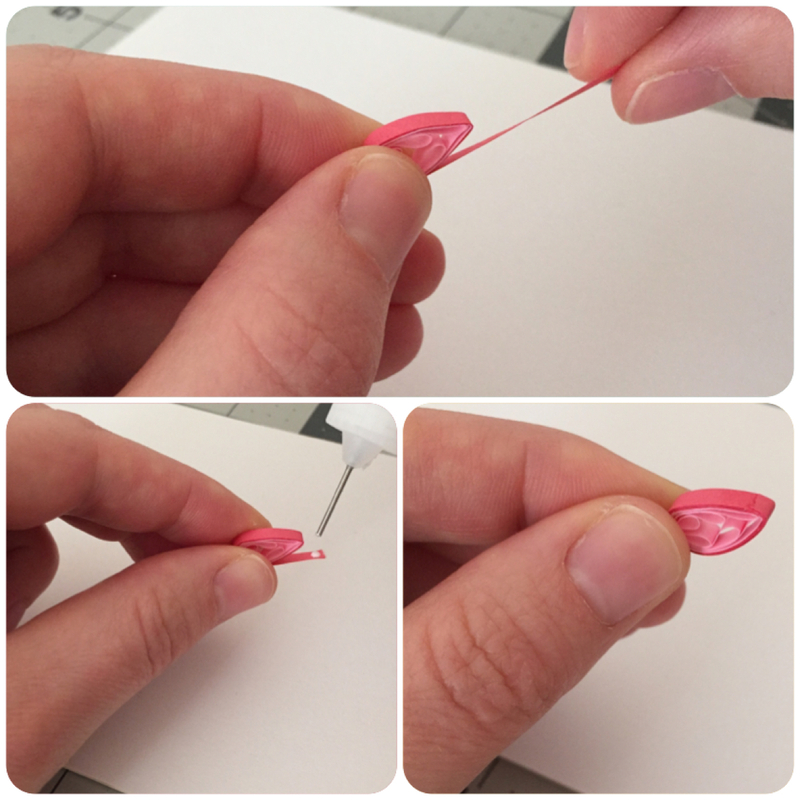 I just recently starting using a comb in my quilling. Since I’m too “thrifty” to buy a real quilling comb, I have a few plastic combs in different sizes that seem to do the trick. To use the comb to make these flower buds, I weave the strip of quilling paper over and under the teeth of the comb. I start in the middle of the comb and hold one end. Then I alternate my loops by hooking the strip around the teeth on either side until I get the number of loops that I want. To make the small buds, I use 6 loops. 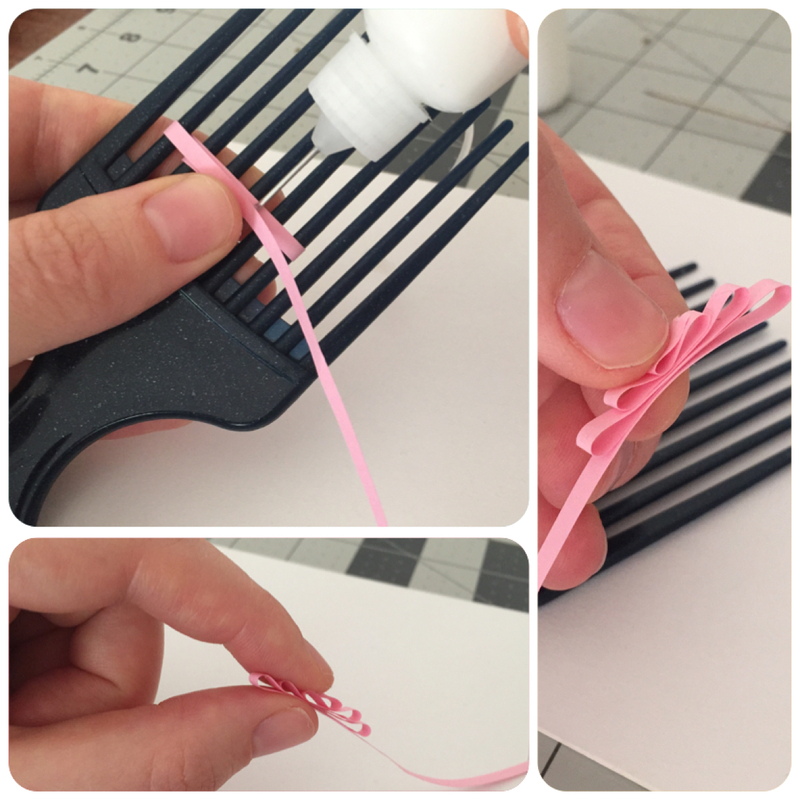 Once I have the amount of loops that I want for my flower bud, I place a tiny dot of glue on the backside of the comb to stick the long tail to the loops. 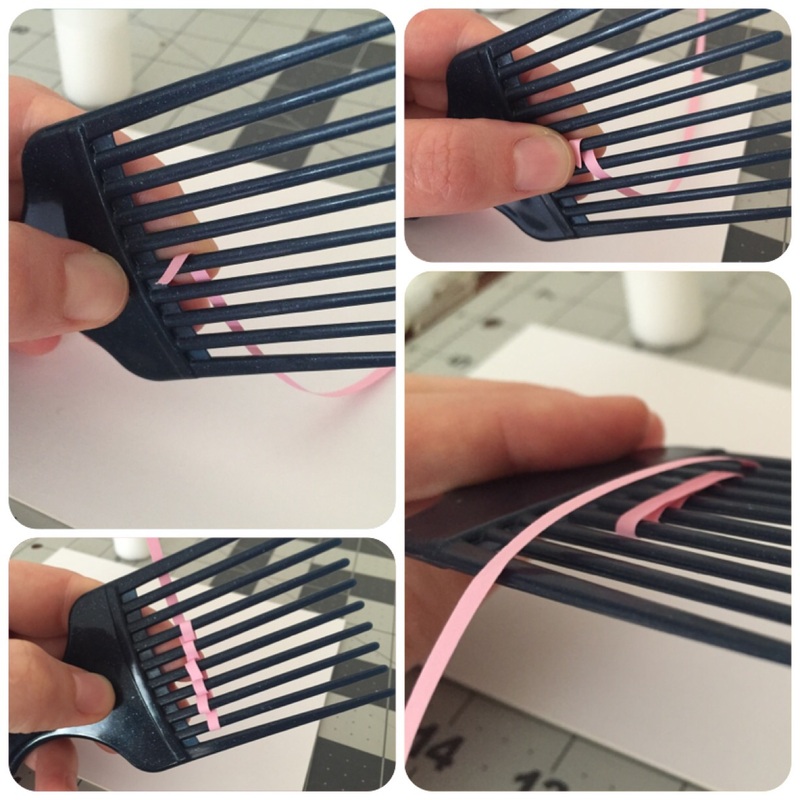 Then the strip can be pulled right off the comb! The long tail can be kept on to wrap around the flower or be removed. I take it off because I like to use a complimentary color on the outside to make the flower bud pop a little more. The inside of the flower bud is finished by securing the small end that I began with onto the loop next door. The loops are bent in the middle and the two longest loops are glued together to make the point of the flower bud. I like a clean, polished flower, so I like to use another color paper to wrap the outside of the flower. I wrap the bud about 4 times. For a view of the whole process, watch my video here! I quill teeny flower stems and leaves, then I’m ready to stick everything to my tags! 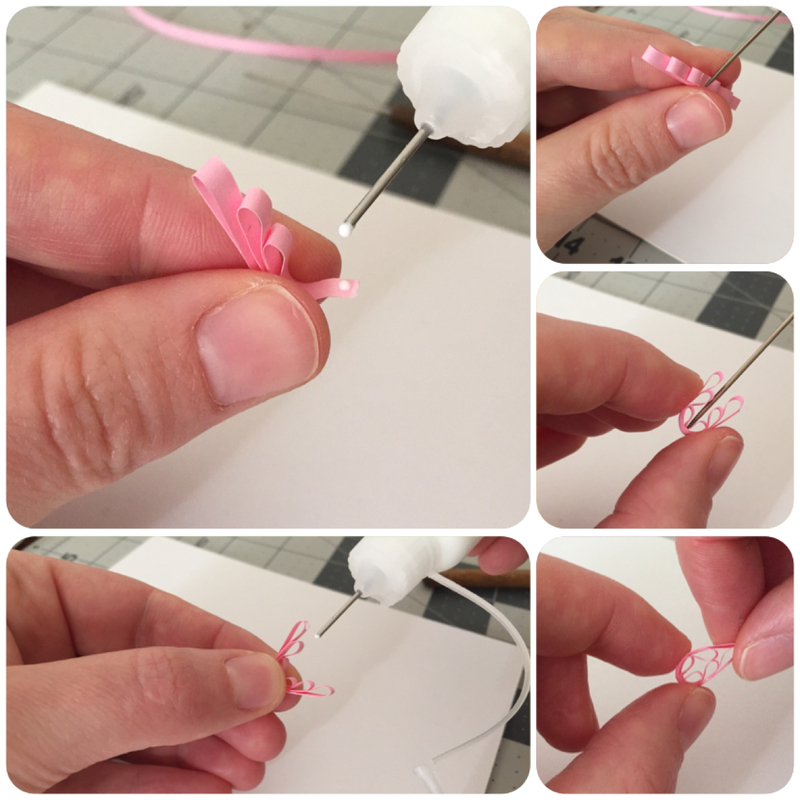 Quilling paper flower buds might seem like a lot of steps, but, like most things, speed comes with practice!